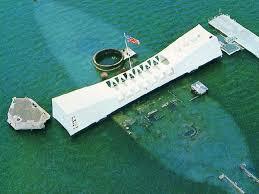 Wednesday will be the 75th anniversary of the attack on Pearl Harbor. It happened three-quarters of a century ago, but it remains the defining moment of our time. It continues to inform the way we look at the world, and it triggered a redefinition of the federal government that still haunts us in some ways. That day—the way it happened and the manner in which we responded—redefined the United States… a redefinition that we still struggle with today. Japan’s great weakness was that it was devoid of mineral resources. It had to import almost all the resources an industrial society needed. In order to sustain its industry, Japan had to deal with China, the Dutch East Indies, and Indochina. All three were under some degree of control by European powers. Over time, Japan became less and less economically secure, and in the 1930s, it invaded China. The US opposed the invasion The decisive moment came when Germany occupied France and the Netherlands in 1940. Japan had agreements with both countries about deliveries of minerals from their colonies. Japan invaded Indochina to secure resources there. The US was a major exporter of oil and scrap iron to Japan, and it imposed an embargo. Japan did what the US thought was impossible. It attacked Pearl Harbor from the north with aircraft carriers. The US fleet was crippled. It would be years before it could mount an attack against Japan. Meanwhile, Japan created a Pacific empire to block the inevitable US counterattack. The Japanese assumed the US would negotiate a peace treaty. The US didn’t. The United States could not accept a challenger who might seek control of the Pacific. And in the long run, if the US accepted the cost of war, US industrial power would crush the Japanese. It did. Note, the United States was using a strategy that has now become commonplace—the use of economic sanctions to try to compel another nation to change its behavior. It also revealed the problem with this strategy. First, the embargo might not be effective. Second, if there were an embargo, the target nation might choose war over capitulation. Thus, a strategy designed to avoid war through economic measures could result in war. In many ways, the New Deal set the stage, but it really failed to achieve its end—the end of the Depression and the increase in federal power. It was World War II that did that, in ways that had been unthinkable before. The federal government changed its relation to society. It went from being a significant but distant part of life, to controlling even small details of ordinary life. War, to that point, had been part of American life, but now it became central. The US Army had been a few hundred thousand before the war… totally ineffective. That was never to happen again. US aircraft were not up to Japanese standards. That was never to happen again. Technology did not flow into the defense system from the private sector, but flowed outward. The Manhattan Project demonstrated what the state could create, and the microchip, the Internet, and computerized databases flowed out, to be turned into civilian products. Perhaps most important, the pre-war illusion that war was marginal to our lives changed. The United States adopted a strategy of preemption or rapid response to any challenge—Korea, Vietnam, Iraq, Afghanistan, and Iraq again. And secrecy remained the veil over decisions that were made. Some would object to this. They miss the point. Pearl Harbor happened. It is a dangerous world, and danger comes from unanticipated directions in ways that cannot be predicted. The United States did not create the world. The world created the United States, and it is what it is. The simple act of dismantling the apparatus would not eliminate what we are afraid of. Denial of reality is not a strategy. And when 9/11 happened, everyone demanded to know how the president let it happen. Even with intense effort, the system will fail. But with no effort, the opportunities for disaster are endless. Nevertheless, we must all be aware, 75 years later, of how the United States was permanently changed by a failure of imagination, a certainty of security, and an unwillingness to acknowledge how capable the enemy is. It resulted in a culture of anxiety, whether about Soviet nukes or Muslim terrorists. The tendency, back then, to minimize the Japanese has led us to maximize our fears now. It isn’t an irrational stance, but it is an exhausting one. The United States is in a reality that it cannot escape, but if it recognizes what happened, it can reshape or perhaps mitigate it. Pearl Harbor isn’t ancient history. It is something that lives in the American psyche and is embedded in our national institutions. It is the lesson we never think of… but can never forget. 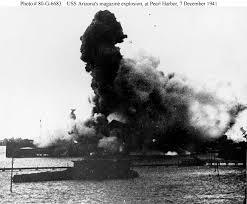 And as we place embargos on our next adversary, it is important never to forget Pearl Harbor. If we remember, at least a young lieutenant might learn to be constantly anxious, even if it is a Sunday morning.